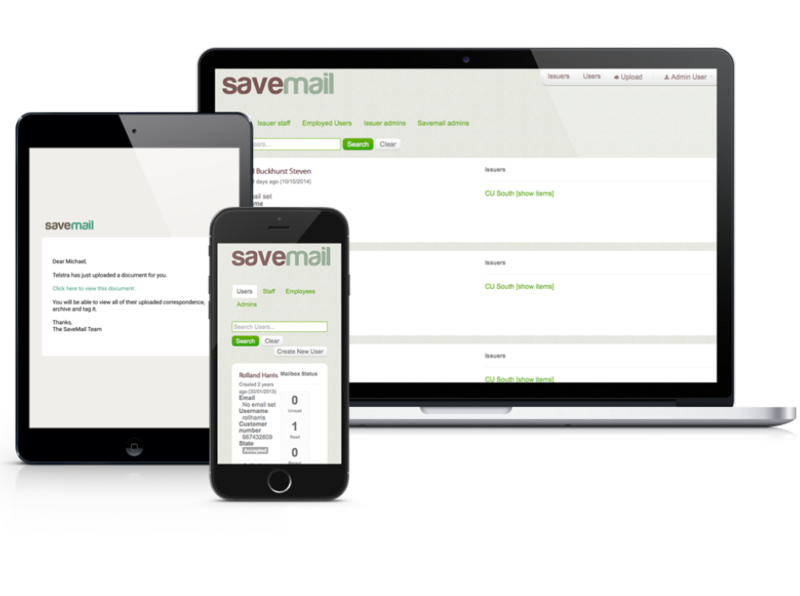 SaveMail was developed to help companies save money and reduce the carbon footprint associated with essential customer communications. Secure storage, speed to market and a simple pricing model were key considerations when developing SaveMail and the product delivers these features and more. More and more companies are realising that just emailing or posting essential communications isn’t the best practice. “I lost the email or letter” or “I need another copy of the document” were common complaints, both of which are solved by using SaveMail. The team at SaveMail are committed to further enhancing the features of the product as technology and client demands change. Via SaveMail’s secure portal or your company’s pre existing user authentication portal, SaveMail is the revolution in secure client communications.